They aren't exactly rare, but the Nuva masks tend to be a bit expensive. I have these masks not released in normal sets: White Miru, Golden Miru, Golden Kakama, Golden Kaukau, Silver Akaku, Chrome Silver Hau (In my profile picture), Red Miru Nuva, White Hau Nuva, Infected Hau Nuva and a Golden Krana Ca. Glitter avohkii, silver kakama, white miru, silver mask of life, Mutran and Vican's masks, and lihkan's hau. Only things I can really think of. I have two hero recon chestplates though. I have two hero recon chestplates though. Got my hands on a chrome Hau a while back. Learned that it is very rare only quite recently. Also, yesterday I ordered a copper Huna and some other semi-rare masks like the Miru Nuva from the Axalara, an Ignika (finally) and Vultraz's mask. Lihkans hau, the trans clear avohkii (activated colors. ), 2 gold avohkiis, and the original krahkan. Also the ultimate dume mask and the large hau from the short lived brick based sets. Not sure if this counts but I also have the helmet from the technic darth Vader set. Some of these masks were taken from the sets. Nothing taken from any sets - I wonder if I should get another infected Hau, too? Nope, it's just a normal Kaukau. But I do have a Hahli Mahri without cracked joints. I have a black Kakama, but I plan on making some money and getting some more peices sometime soon, including possibly some rarer kanohi. No, it actually works well with Mixel eyes. You just a long neck. 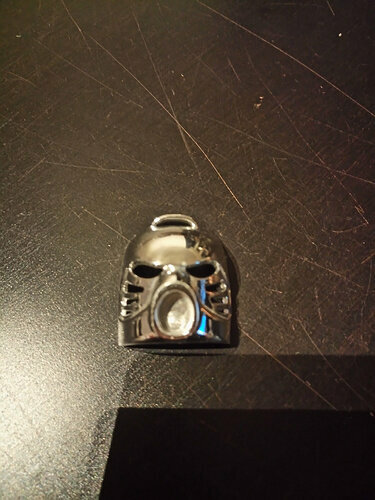 I had takanuva '08, and tbh the mask isnt that great. Well, it's not like I want this mask for a MOC - I want it for the set. 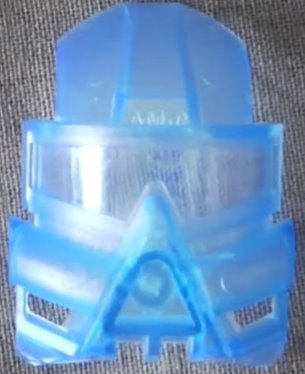 I would say the rarest official mask I own would be the NYCC clear G2 Hau. Oh! Does a gold Visorak shell body thing count? Only 7 more to go! Although I might also get replacements for the green Miru (which has a strain mark) and the blue Miru (which is visibly bent).